Should the olive oil be store in the refrigerator? No. Storing olive oil in the refrigerator can cause condensation to form in the bottle. Condensation/water in the olive oil will turn the olive oil rancid. The best place to store the oil is in a cool, dark place, tightly sealed. Always remember to keep it away from the stove and light. Resist the temptation to place your beautiful bottle of olive oil on the windowsill. Light and heat are the #1 enemy of oil. Oxygen promotes rancidity. Olive oil is like other oils and can easily go rancid when exposed to air, light and high temperatures. What is the shelf life of olive oil and vinegar? Olive oil will last about 9 months. Vinegar will last 3-5 years. Remember, the only way it will last this long is through proper storage. Can olive oil be used in place of butter? Yes. Any recipe that calls for butter can be substituted with olive oil. Simply follow the conversion chart that we provide in the “Recipe” section of our website. Is the olive oil “First Cold Pressed”? 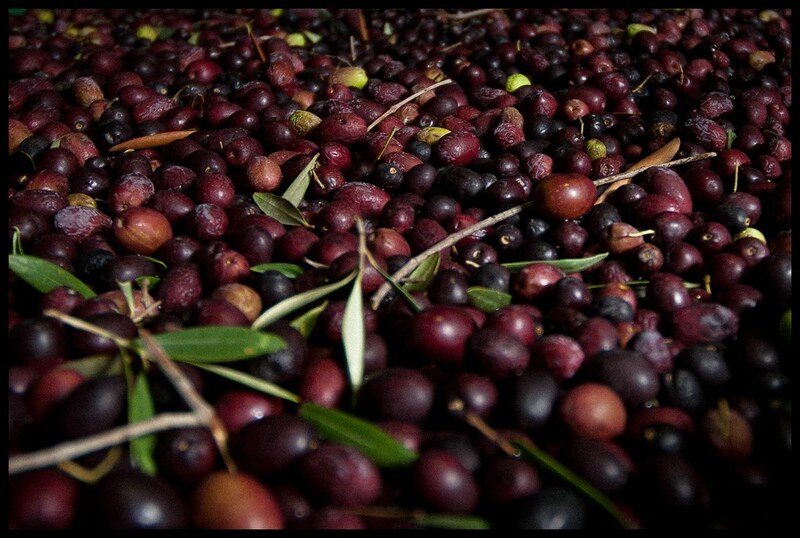 Extra virgin - considered the best, least processed, comprising the oil from the first pressing of the olives. Virgin - from the second pressing. Pure - undergoes some processing, such as filtering and refining. Extra light - undergoes considerable processing and only retains a very mild olive flavor. When buying olive oil you will want to obtain a high quality EXTRA VIRGIN oil. The oil that comes from the first “pressing” of the olive, is extracted without using heat (a cold press) or chemicals, and has no “off” flavors is awarded “extra virgin” status. The less the olive oil is handled, the closer to its natural state, the better the oil. If the olive oil meets all the criteria, it can be designated as "extra virgin."